Openherd: Coffee Pot Farm is a farm located in Sherrodsville, Ohio owned by Chuck and Kathleen Thompson. 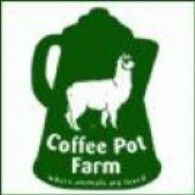 Coffee Pot Farm is located in the beautiful Atwood Lake Region of Carroll County Ohio, just thirty minutes south of Canton, two hours south of Cleveland. We have chosen to share our farm and lives with these beautiful camelids, the Huacaya alpacas. Whether you are interested in investigating the investment opportunities or just want to spend time with these often funny and very entertaining animals, plan a farm visit. We offer multiple blood lines, a variety of colors, and show or pet quality stock. 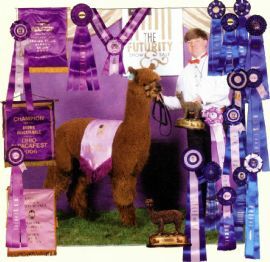 Call today to spend an enjoyable afternoon or evening with these beautiful camelids. (330) 575-1934. There is a also an alpaca store on the farm where you can enjoy the luxury of alpaca. The alpaca industry is an exciting industry. Coffee Pot Farm specializes in huacaya alpacas. 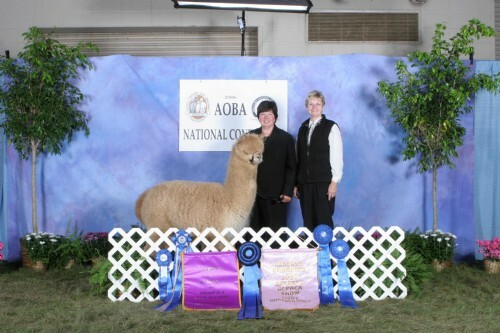 We have multiple champion bloodlines We started in business fifteen years ago after going to a fleece show. "Come see what we have brewing!